角色 - 绝地. 角色点: 10/13. 生命值: 10. 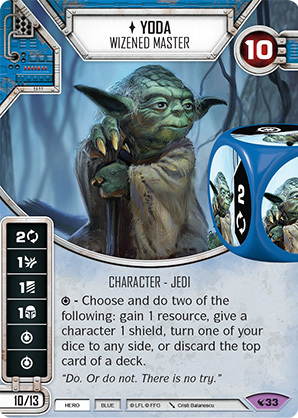 - Choose and do two of the following: gain 1 resource, give a characeter 1 shield, turn one of your dice to any side, or dicard the top card of a deck.